Design your own – click here! We offer a collection of wine making kits and equipment. We have everything for the home brewer – ingredients, kits, and equipment. We have an assortment of gourmet fresh roasted and green coffee beans. 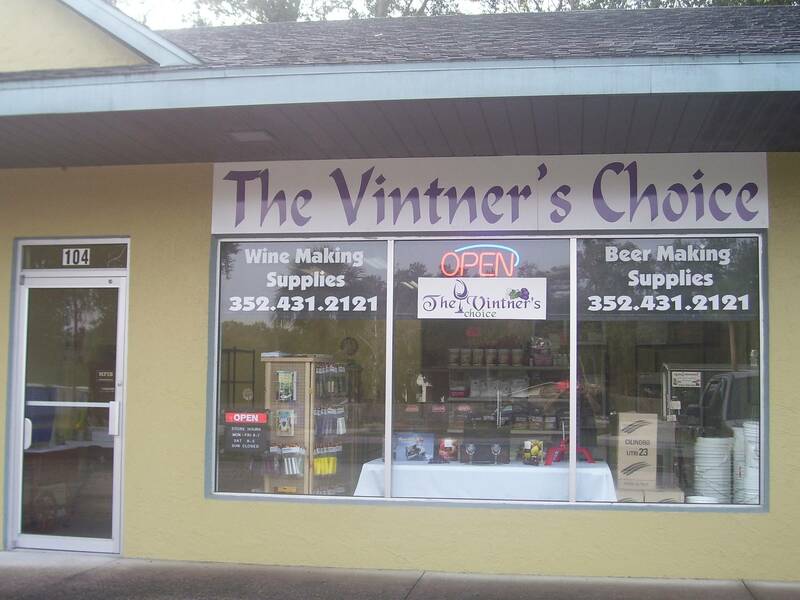 The Vintner’s Choice was founded in November 2013 and began selling equipment and ingredients in January 2014. We were the first store of its kind in Leesburg, Florida. We serve the needs of people that wish to make wine and beer in the comfort of their own home. We deliver locally free of charge to the following counties; Citrus, Lake, Sumter. To our knowledge we are the only Home Brew store to offer this to their customers. We offer fresh ingredients and stock many of the essential equipment and supplies needed to make a quality beer or wine. We believe in selling quality, if you are not satisfied with the goods and services, we will make it right or refund your money. We believe trust is earned and we always attempt to earn your business.